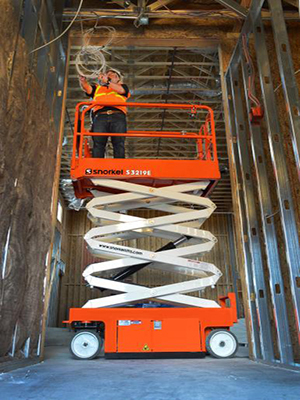 Scissor Lifts are perfect for inside job s where work space, lifting capacity and maneuverability are essential. These lifts are ideal when moving over smooth or solid ground and work surfaces. We have other scissor lift sizes as well!